This event is taking place across the weekend of Fri 15 and Sat 16 March 2018 in King's Lynn, Norfolk. As with the highly successful sell-out EuroTec events in 2006, 2007, 2008, 2009, 2010 ,2011, 2012, 2015, 2016, 2017 and 2018, not to mention the other so-called "mini-meets" this will be based in the pretty county of Norfolk, this time at same new location, still close to the Royal Family's home at Sandringham - on the edge of the town of King's Lynn. For this meet, rather than the 30-car summer events, the focus here is on socialising (the car park might be a bit too cold!). If you've never been before don't be scared! Many people who come to these meet-ups only know one or two others (or less). This is a good way to meet up with like minded people and swap tips. For non-owners there will be more time to ask questions, look around the cars, etc. The hotel is http://www.dragonflykingslynn.co.uk/ . Accommodation is not exactly 5 star, but the hotel has a large tarmac car park and has just been fully refurbished. There are 50 rooms in total. - Arrive Friday from 14:00 onwards. - Hang around car park kicking tyres, etc. So a typical couple staying for 2 nights can expect to pay just over £100 each total including all 5 meals (plus drinks). Yes I know it's cheap! If you would like to come along for just the day on Saturday only, or Friday evening then you're more than welcome - you'll just have to pay for lunch and/or dinner if you want it. Please just mention it in this thread if you are going to come along for either day (without staying), or if you have any other questions. If you'd rather not post here then click here to send a message to Arran now. To book online, here (during the first half of February only), follow these links. You can also book online via the hotel's own website, but you can't get the special rates this way. PLEASE LET ME KNOW IF YOU HAVE BOOKED DIRECT SO I CAN BOOK YOU IN FOR DINNER/LUNCH ETC. TOO. - The hotel are unlikely to tell me. Any method will do - either message or email me, or post on here - in either case I just need to know how many people and which days. Once this hotel is filled the nearest alternative would probably be the Premier Inn in Kings Lynn. Gah. I knew this would happen. 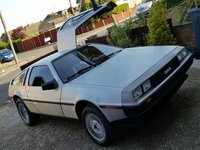 My delorean is due to arrive in the country around the 15th so may not be able to attend as i could be sorting the car out. Think i will just turn up on the saturday. See ya there. 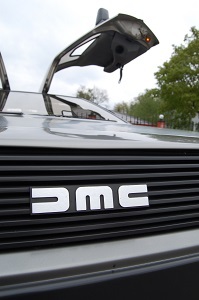 Hopefully i can attend the june meet in my delorean. Do you pay for the dinner when youre there or before tge day? Official 2011 Silvercoast "Chaved Banana"
DMC1983 wrote: Do you pay for the dinner when you're there or before the day? On the day - it will be very very informally arranged, depends on numbers. DMC1983 wrote: Gah. I knew this would happen. My delorean is due to arrive in the country around the 15th so may not be able to attend as i could be sorting the car out. It will take a few days to clear though customs. So it will be early the following week before you will be able to go and collect it. I've finally sorted out my standby after it was changed due to unforseen issues arising at work. I'll be there both nights for a full weekend of tech playing fun. Admin-bloke wrote: I've finally sorted out my standby after it was changed due to unforseen issues arising at work.